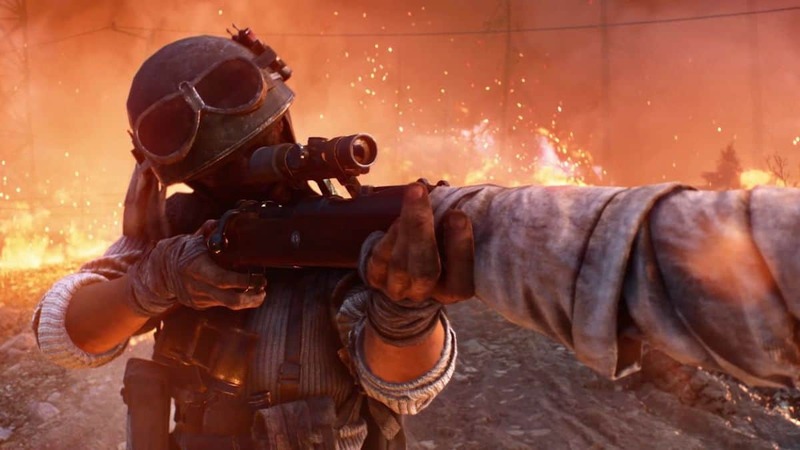 In our Battlefield 5 Firestorm Vehicles Guide, we’ll guide you on about everything about different types of vehicles and best vehicles in Battlefield 5 Firestorm BR. No doubt that the availability of vehicles in BF5 Firestorm BR can make a big difference, especially if the vehicle is a tank. 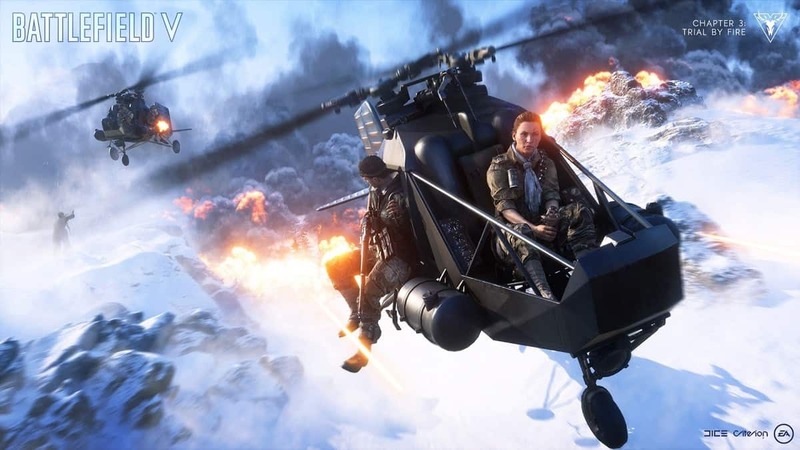 There is a good variety of vehicles available in Battlefield 5 Firestorm. A Reinforcement Flare can call in most of the vehicles while some can be found in open areas. As for the rare ones, they are often found in huge metal bunkers. Tanks are *usually a rare find*. They are found in the bunkers or called by Reinforcement Flare. Although it is a high risk to get your hands on one of these, the reward is worth it. However, keep in mind that the tank holds no place in solos since it requires a full squad to fully function properly. Panzer 38(t) A smaller tank, that can fit only 3 men; one driver and 2 gunners; so, you will have to leave one man behind. Churchill Mk VII A tank capable of holding a full squad and has a flamethrower equipped on it. Besides the firestorm this is the only other source of fire. Panzer IV Just a regular sized tank; can hold full squad and blow things up. Staghound T17E1 Another small tank capable of holding a full squad. Has various weapon variety on it. Valentine Mk VIII This is a big tank but for some reason, can fit only two guys; however, this doesn’t affect its destructive capabilities. Tiger I The most badass tank on the field; can carry a whole squad; has 3 gunner seats. These can be found throughout the map. While they certainly can’t match the tank, they still do a pretty good job at getting us to the destination unharmed. Kubelwagen The most basic jeep out there, with a mounted LMG on it. Fits three guys. M3 Halftrack A better jeep, with a bigger capacity and more LMGs; one LMG in front and one LMG at back, can be used by players. Hold 4 guys in total. Sd. Kfz 251 Halftrack Pretty much the same as the M3 Halftrack; just looks bigger. Universal Carrier This one has a seat for driver, a seat at mounted weapon and a passenger seat for one another. Passenger can use whatever gun he has on hand. Tanks and armor vehicles aren’t the only vehicles present on the battlefield. Apparently, there’re some civilian vehicles as well as a helicopter too. While these vehicles provide little to no cover, these still can get you inside the circle in time when the storm is chasing you. Prototype Helicopter The only chopper in the game; can hold full squad, but doesn’t have mounted weapons; so the squad have to use their own guns. Kettenkrad A peculiar looking motorcycle, a hybrid with a tank. Runs pretty fast; has a room for a driver and a passenger. 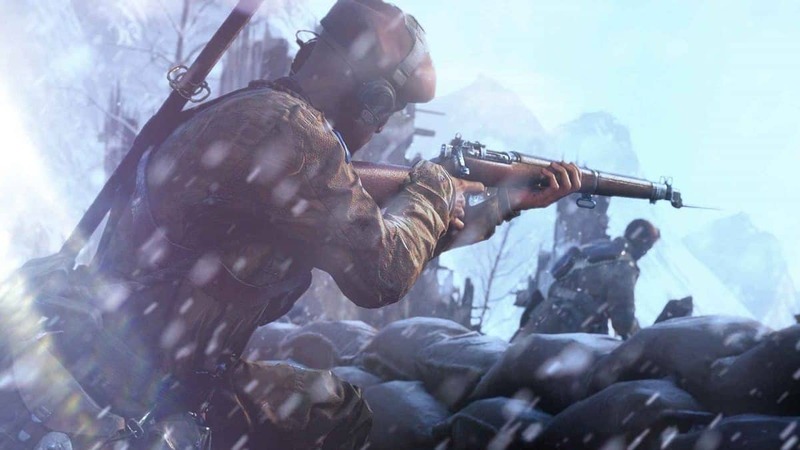 Tractor There is no feature for farming in battlefield 5; though, there is a tractor that can get you places. Staff Car Just a car; holds 4 people. Sports Car A sports car; holds 4 people and runs faster. Pickup Truck A nice pickup truck, with a open back seats; so there is no cover for two of your squad mates. Schwimmwagen A Vehicle that drives both on land and water. Sometimes, seeing other players having fun with the vehicle doesn’t give you the right feeling. Good thing that there are plenty of weapons to destroy these vehicles. Sticky Dynamite can be placed and detonated on demand. Frag Grenade Rifle A muzzle attachment for rifles, makes them a grenade launcher. AT Mine Anti-tank mines; can be placed on the ground; can be used to set ambush for tanks. Panzerfaust A rocket launcher, with a German name. AT Grenade Pistol An anti-tank pistol, can be used against other vehicles too. 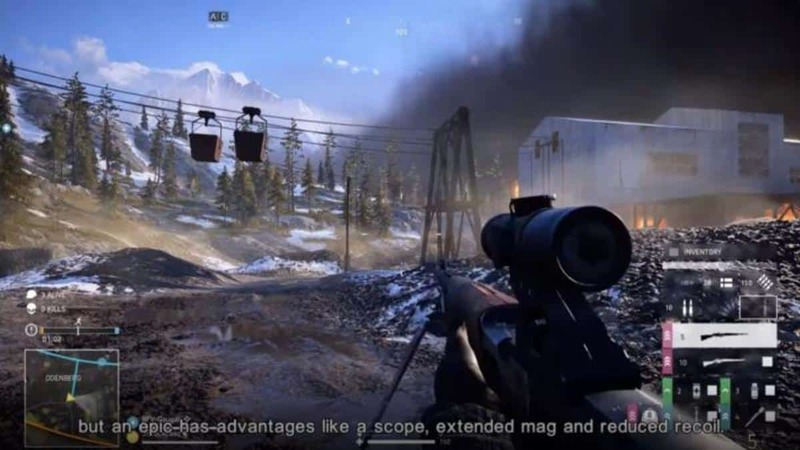 Shoots grenades over a long range.